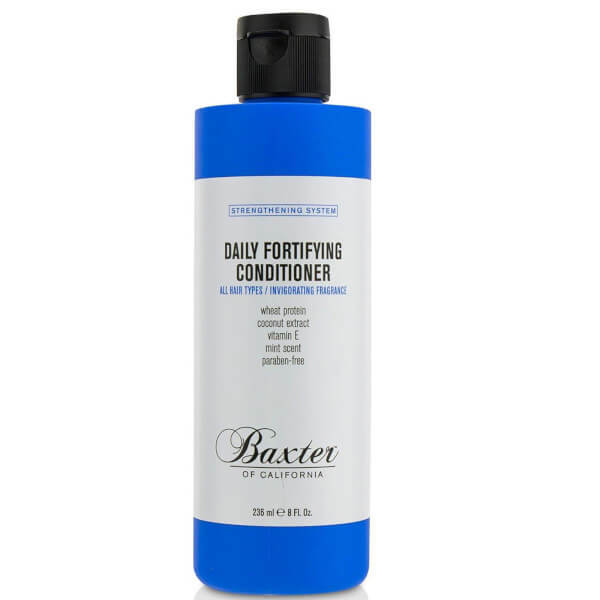 Catering specifically for men, the Baxter of California Daily Fortifying Conditioner delivers long-lasting moisture and hydration with natural-looking shine. Infused with a cocktail of beneficial ingredients, including Coconut Extract, Wheat Protein and antioxidant Vitamin E, the lightweight formula softens and replenishes hair, whilst nourishing and comforting the scalp. A dose of invigorating Mint delivers a pleasant tingling sensation. Hair feels clean and fresh after use. Massage into cleansed hair. Leave in 2-3 minutes, then rinse thoroughly.